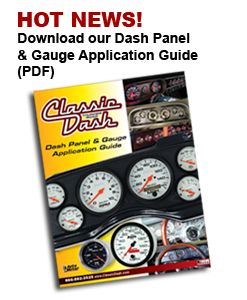 If you’ve tried to get your tach to function after an LS swap, you know that it isn’t always a simple procedure. Save time, frustration and don’t make a single cut in your factory wiring with Auto Meter’s Plug and Play LS Tach Harness. This Plug and Play solution lets you quickly and easily install the Auto Meter #9117 Tach Adapter onto your LS-derived engine. OEM spec connectors and wiring assure a hassle free installation that takes minutes rather than hours. No splicing, cutting or risks of voiding your vehicle’s warranty. It’s completely reversible and couldn’t be easier. Get the best possible results in the least amount of time with the solution guaranteed to work right, the first time.